Dubai, UAE, October 9, 2016: Popular for its ‘Let’s Roll’ concept, the modern Japanese casual restaurant, Chez Sushi has opened its first outlet in Jeddah KSA. Located on Prince Sultan Road in the Rawdah District, the restaurant is a first for Jeddah will be providing customers with an option to customise their maki rolls along with an extensive sushi menu. Partnering with Lamya Attar Co., a part of the Attar Group, Chez Sushi continues its regional expansion to bring custom-rolled Japanese-style dining to sushi lovers across the Middle East. Offering an extensive menu of high quality and healthy options, the outlet provides the perfect accessible services, be it a bento box or a corporate feast. After opening the flagship restaurant in 2013, Co-Founder of Chez Sushi, Hiba Kosta has used her vast F&B experience to expand the brand at an impressive rate of two per annum. With existing outlets across GCC, this newest addition has allowed Chez Sushi to extend their ever growing reach to more Japanese food lovers in the region. “We’re extremely delighted to open a branch in one of KSA’s largest cities. This represents a key milestone for us as we continue our rapid and strategic expansion,” shared Kosta. “We have cornered the market in custom-rolled Japanese cuisine and I believe the combination of great food, outstanding service and an exciting concept, all driven by a progressive business plan, will see many more customers enjoy the Chez Sushi experience,” she added. Chez Sushi continues to expand throughout GCC and aim to provide a great experience with quality food while also continuing their search for new menu options. 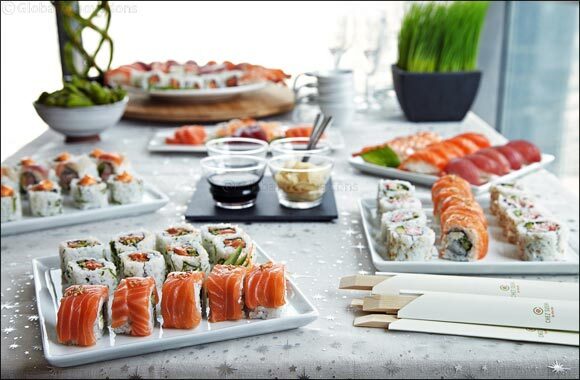 Along with three branches in Dubai, Chez Sushi has a branch in Bahrain as well as one in Muscat, Oman.